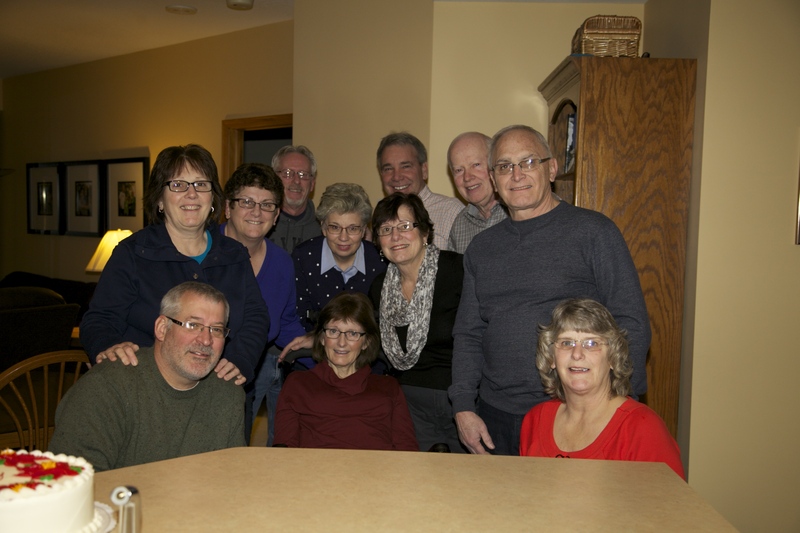 On Friday night we celebrated my oldest sister Judy with a surprise 70th birthday party. Our beautiful and younger-than-70-looking sister was totally surprised. We all gathered in our living room with pizza, turning off the lights and leaving only the Christmas tree on and a couple of candles burning that gave the room a radiant feel. We then asked everyone to take a turn and share a memory about Judy. 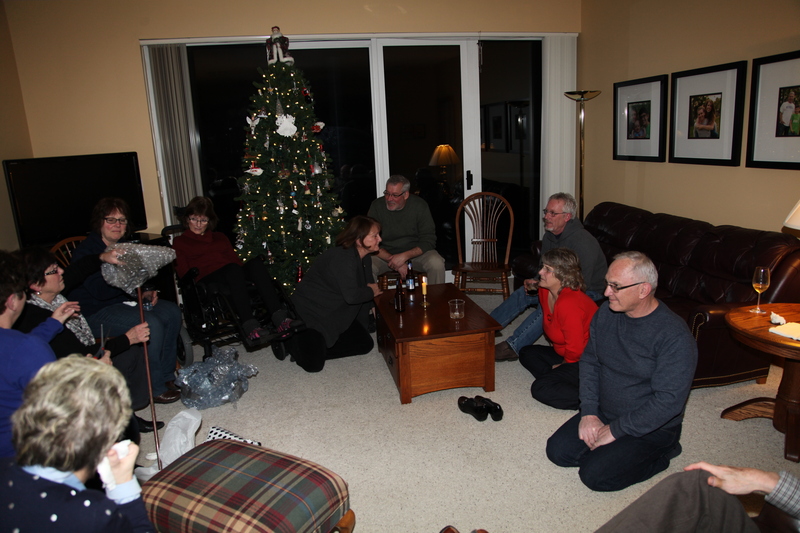 We all took our turn teasing, laughing and learning some new things about our older sister until the conversation changed to the subject of our family. When it came to Mary’s fiancé Jim Bozell’s turn, he said he didn’t have a story solely about Judy but instead he told about the unconditional love of the whole Beckman family that he has witnessed since he and Mary have been together. He said it is unusual to see this type of love. After everyone left I felt proud and happy that we could gather together without tears and leave some of our worries and the dark cloud of ALS parked outside the door, at least for a night. This is beautiful. Thanks for sharing the photo and description of the evening. Rosemary, I know it’s very difficult for you as you live with ALS every day…it’s wonderful that you can ‘park it outside (in the cold) for a few hours! I pray you can ignore it and enjoy your family, friends and this special season. Thank you for your courage and for sharing your time with us!! Sounds like a wonderful evening – I just love your blogs – keep them coming!! Boy Judy what fun. So glad you all got to gather for birthday surprise and with such special family! What a wonderful night for all of you! Truly, the most loving and kind family we know. Happy Birthday Judy !!! !